Official release date has been set for the final Malvern novel by Stephen Brooke --- March 12, 2016. 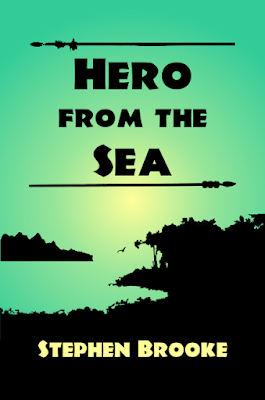 HERO FROM THE SEA is the sequel to COAST OF SPEARS and VALLEY OF VISIONS. Exact date of release to be announced soon! "Michael Malvern returns from across the mountains, united at last with the woman he loves. But the homeland of the Mora people is in turmoil. 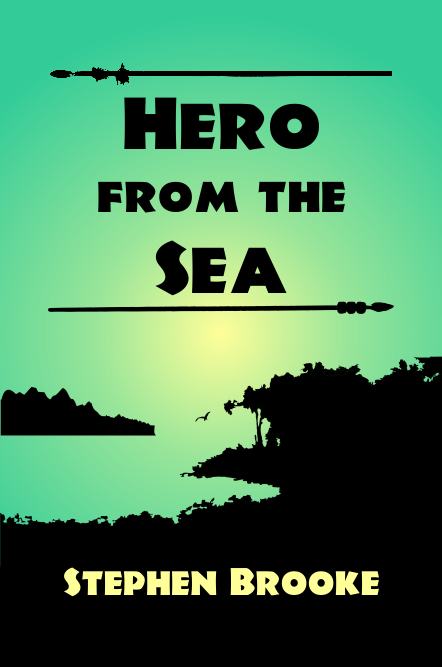 Could he be the prophesied Hero from the Sea, come to restore the kingdom? 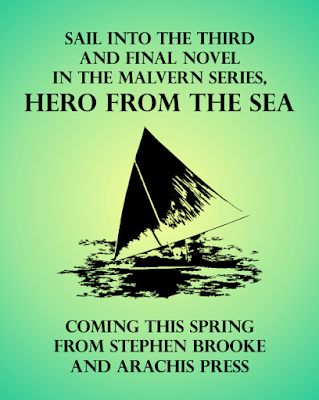 All is answered in the third and final novel of the Malvern Saga, Hero from the Sea, a fantasy adventure by Stephen Brooke." Today marks the official release of Stephen Brooke's new fantasy adventure novel, VALLEY OF VISIONS. This is the second of the Malvern Saga books. Castaway Michael Malvern crosses the peaks to search for his kidnapped love and for answers to the riddle of a strange world. VALLEY can be found at our site and the store at our distributor, as well as most online retailers in both ebook and print formats. Expect a third and final Malvern novel this spring. Also, we will announce here that a new catalog of our titles is available in PDF form, also at the Arachis Press site. Feel free to download your copy.